Calvert Vaux (; December 20, 1824 – November 19, 1895) was a British-American architect and landscape designer. He is best known as the co-designer, along with his protégé and junior partner Frederick Law Olmsted, of what would become New York's Central Park. Vaux, on his own and in various partnerships, designed and created dozens of parks across the country. 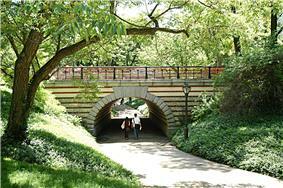 He introduced new ideas about the significance of public parks in America during a hectic time of urbanization. This industrialization of the cityscape inspired him to focus on an integration of buildings, bridges, and other forms of architecture into their natural surroundings. He favored naturalistic, rustic, and curvilinear lines in his designs, and his design statements contributed much to today’s landscape and architecture. Little is known about Vaux's childhood and upbringing. He was born in London in 1824, and his father was a physician who provided a comfortable income for his family. Vaux attended a private primary school until the age of nine. He then trained as an apprentice under London architect Lewis Nockalls Cottingham, a leader of the Gothic Revival movement. Vaux trained under Cottingham until the age of 26, becoming a skilled draftsman. In 1851, Vaux exhibited in London a collection of landscape watercolors made on a tour to the Continent, an exhibit that captured the attention of the American landscape designer and writer Andrew Jackson Downing, who many consider "The Father of American Landscape Architecture." Downing had traveled to London in search of an architect who would complement his vision of what a landscape should be. Downing believed that architecture should be visually integrated into the surrounding landscape, and he wanted to work with someone who had as deep an appreciation of art as he did. Vaux readily accepted the job and moved to the United States. Vaux worked with Downing for two years and became a partner in the firm. Together they designed many significant projects, such as the grounds in the White House and the Smithsonian Institution in Washington D.C. Vaux’s work on the Smithsonian inspired him to write an 1852 article for The Horticulturalist(of which Downing was the editor), arguing that the government should recognize and support the arts. Shortly afterward, Downing died in a steamboat accident. Vaux took over the partnership. In 1854, Vaux married Mary McEntee, of Kingston, New York, the sister of Jervis McEntee, a Hudson River School painter. They had two sons and two daughters. In 1856, he gained U.S. citizenship and became identified with the city’s artistic community, “the guild,” joining the National Academy of Design, as well as the Century Club. In 1857, he became one of the founding members of the American Institute of Architects. Also in 1857, Vaux published Villas and Cottages, which was an influential pattern book that determined the standards for “Victorian Gothic” architecture. These particular writings revealed his acknowledgment and tribute to Ruskin and Ralph Waldo Emerson, as well as to his former partner Downing. These people, among others, influenced him intellectually and in his design path. In 1857, Vaux recruited Frederick Law Olmsted, who had never before designed a landscape plan, to help with the Greensward Plan, which would become New York City's Central Park. They obtained the commission through an excellent presentation that drew upon Vaux's talents in landscape drawing to include before-and-after sketches of the site. Together, they fought many political battles to make sure their original design remained intact and was carried out. All of the built features of Central Park were of his design; Bethesda Terrace is a good example. In 1865, Vaux and Olmsted founded Olmsted, Vaux and Company, which went on to design Prospect Park and Fort Greene Park in Brooklyn, and Morningside Park in Manhattan. In Chicago, they planned one of the first suburbs, called the Riverside Improvement Company in 1868. They also were commissioned to design a major park project in Buffalo, New York, which included The Parade (now Martin Luther King, Jr. Park), The Park (now the Delaware Park), and The Front (now simply Front Park). Vaux designed many structures to beautify the parks, but most of these have been demolished. Vaux also designed a large Canadian city park in the city of Saint John, New Brunswick called Rockwood Park it is one of the largest of its kind in Canada. In 1871, the partners designed the grounds of the New York State Hospital for the Insane in Buffalo and the Hudson River State Hospital for the Insane in Poughkeepsie. In 1872, Vaux dissolved the partnership and went on to form an architectural partnership with Samuel Parsons, Jr. He returned to working with Olmsted in 1889 for one last collaboration: designing the City of Newburgh's Downing Park as a memorial to their mentor. Other famous New York City buildings Vaux designed are the Jefferson Market Courthouse, the Samuel J. Tilden House, and the original Ruskinian Gothic buildings, now largely invisible from exterior view, of the American Museum of Natural History and the Metropolitan Museum of Art. In addition to the New York buildings, Vaux also was the designing architect for The Sheppard and Enoch Pratt Hospital in Towson, Maryland. Less familiar are 12 projects Vaux designed for the Fourteenth Ward Industrial School (1889), 256-58 Mott Street, facing the churchyard of St. Patrick's Old Cathedral, and the Elizabeth Home for Girls (1892), 307 East 12th Street, both survive and are landmarked. On a foggy November 19, 1895, Vaux accidentally drowned in Gravesend Bay, while he was visiting his son, Downing Vaux, in Brooklyn. He is buried in Kingston, New York's Montrepose Cemetery. In 1998, the city of New York dedicated Calvert Vaux Park overlooking the bay. 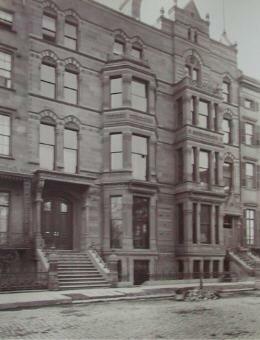 ^ , 8 June 2008The New York TimesChristopher Gray, "Streetscapes: A House of Refuge, With Stories to Tell", accessed 15 April 2010; Gray notes some evidence that the design details were the work of Nicholas Gillesheimer, and that in 1930 the Children's Aid Society sold the building to Benedict Lust. ^ Calvert Vaux Park, New York City Department of Parks and Recreation. Accessed September 8, 2007. Rogers, Elizabeth Barlow. 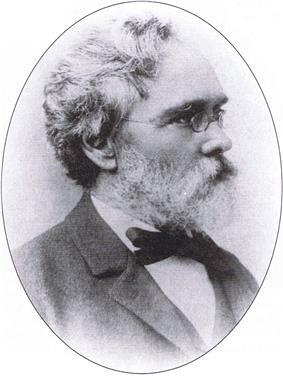 "Calvert Vaux". Archived from the original on 2008-04-06.